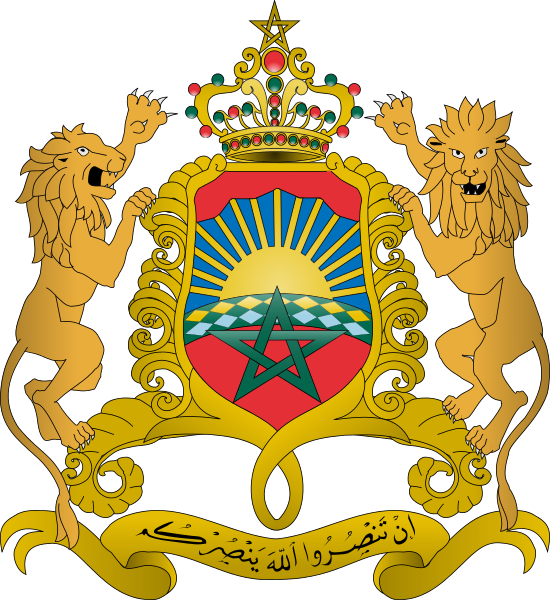 In response to the numerous calls made by the Security Council to end the political stalemate, the Kingdom of Morocco submitted to the Secretary General of the United Nations, on April 11th 2007, “the Moroccan Initiative for negotiating an autonomy status for the Sahara region”. This initiative is the result of a large consultation process at national and local levels, bringing together political parties, people and deputies of the region, through the Royal Advisory Council for Saharan Affairs, with the aim of gathering their views on how to implement the autonomy plan in the Sahara region. This internal consultation process was also supplemented by other consultations undertaken at regional and international levels, in order to get the views of the countries, concerned with this regional dispute. Through this initiative, the Kingdom of Morocco guarantees to the people of the region, their positions and roles, without discrimination or exclusion, in the region’s bodies and institutions. Thus, the Sahara people can democratically manage their affairs, through exclusive legislative, executive and judicial powers. They have the necessary financial resources to develop the region, in all areas and to participate actively in the economic, social and cultural development of the nation. It is, in fact, an initiative of compromise that is in conformity with international law, the UN Charter, the General Assembly and Security Council resolutions, as well as the right of self determination. The autonomy status of the Sahara will, indeed, be negotiated and subject to a free referendum by the concerned population. In a desperate effort to thwart this new dynamic, the polisario submitted a proposal containing outdated proposals with no constructive element to help solve the regional dispute over the Sahara. - Calling upon parties to launch negotiations without preconditions and in good faith, taking into account the developments made, with an aim to achieve a just, lasting and mutually acceptable political solution. By adopting resolution 1754, the Security Council opted for a major genuine turning point, and so did the General Assembly, which followed the same step, by affirming the break with the earlier approaches. In this resolution, the Secretary-General invited the parties and States of the region to take part in the first two rounds of negotiations, which were held respectively on 18th and 19th June, and 10th and 11th August 2007, in Manhasset. The rupture with the earlier options was, in fact, confirmed through the adoption, without vote, by the General Assembly, of resolution A/62/116 of December 17th 2007, endorsing the approach advocated by the Security Council and expanding the scope of self-determination to all available options of expression for self-determination, as long as they are “ in accordance with the freely expressed wishes of the concerned people and in conformity with the principles clearly defined in the General Assembly’s resolutions 1514 and 1541 and other resolutions”. This resolution of the General Assembly therefore made no longer any reference to previous plans and strongly supported Security Council resolution 1754 and welcomed the newly launched process of negotiation that had begun. The General Assembly is now in accordance with the Security Council. In resolution 1783 adopted in October 2007, the Security Council confirmed the pre-eminence of the Moroccan autonomy proposal. It also called for the continuation of negotiations “while taking into account the efforts made since 2006”, in reference to the actions taken by Morocco in the elaboration, the promotion and presentation of the Moroccan initiative. After four rounds of negotiations, held by virtue of the UN Security Council resolutions 1754 and 1783, in June 2007, August 2007, January 2008 and March 2008, the Secretary-General recommended in his report S/2008/251 issued, on 14 April 2008, the involvement in “intensive and substantial negotiations” with a sense “of realism and a spirit of compromise”. This report also underlined that the Personal Envoy would “brief the parties as well as the Security Council on the way forward”, something that converged with the assessment of the situation that the Personal Envoy M. Peter Van Walsum made at a later stage. In his briefing to the Security Council on April 21st 2008, the Personal Envoy of the Secretary General, M. Peter Van Walsum, underlined that “an independent western Sahara is not a realistic option”. This conclusion was the result of a rational assessment made by the Personal Envoy, based on the latter’s strong involvement and understanding of the issue of the Sahara, his numerous contacts with the parties and his consultations with all the other members of the international community concerned with this regional dispute. In resolution 1813, the Security Council while reaffirming its strong support for the efforts of the Secretary-General and his Personal Envoy, called upon the parties to engage in intensive and substantial negotiations and underlined the need for the parties to show realism and the spirit of compromise, to maintain the momentum given to the process of negotiations. For his part, the Secretary General agreed, in his report to the 63rd session of the General Assembly (A/63/131 dated 15th July 2008, paragraph 9), “with his Personal Envoy that the momentum could only be maintained, by trying to find a way out of the current political impasse through realism and a spirit of compromise from the parties”. On the other hand, Algeria and the Polisario multiplied their open violent attacks against the person and mandate of Mr. Van Walsum. This very attitude reminds the international community of the similar position, adopted by these parties against Mr. De Soto in 2004. Beyond the hostility displayed against the previous Personal Envoys, Algeria confirmed its opposition to any prospect for the political solution, sought by the international community. Even though they first welcomed the adoption of resolution 1813 that in fact endorsed the approach based on realism and the spirit of compromise, Algeria and the Polisario quickly made the Personal Envoy as a target of their increasingly violent attacks, culminating in the proclamation of rupture and the rejection of his mediation. The General Assembly, for its part, adopted the resolution 63/105, on December 5th, 2008, which, in fact, put an end to all backward-looking and sterile approaches, whose inapplicability and caducity had been evidenced and witnessed by the United Nations. It also validated the multisided referential and diverse forms of the principle of self-determination, reinforced the centrality of negotiation to reach the mutually acceptable solution, advocated by resolutions 1754, 1783 and, 1813 of the Security Council, and sealed the cohesion between the Security Council and the General Assembly, with regard to how the Sahara issue would be handled. After the end of Mr. Van Walsum’s mandate, the Secretary General of the United Nations appointed Mr. Christopher Ross as his new Personal Envoy, with the mandate of working with the parties and neighboring states on the basis of resolution 1813 and the previous resolutions, while taking into account the progress made so far towards reaching a just, lasting and mutually acceptable solution to the Sahara issue. His first visit to Morocco and to the region from 18th to 24th February 2009 was the occasion for him to get in touch with the parties, to hear their views on the next rounds of negotiation, and to study the conditions of the preparation of the fifth round of the process, launched in 2007. Morocco reaffirmed to the Personal Envoy, its commitment to implement the Security Council Resolution 1813, within the framework of the continuation of the work done by Mr. Van Walsum, and to enter into an intensive and substantial phase of negotiations, on the basis of the Moroccan autonomy initiative. The report of the UN Secretary-General on the issue of the Moroccan Sahara (S/2009/200 of 13 April 2009) reaffirmed the primacy of resolution 1813 and the need for the parties to enter into substantive negotiations, while stressing on the importance of good preparation for the next round of negotiations, through the holding of one or several small preparatory meetings, in this regard. The Security Council adopted unanimously Resolution 1871 on 30 April 2009, reaffirming and reinforcing the Council's support to all the provisions of resolution 1813 of April 2008, thus consolidating the fundamental and crucial referential defined by the United Nations to achieve a final political solution to the regional dispute over the Moroccan Sahara. Besides this, the new text kept all the provisions of resolution 1813, and thus, put the efforts of the United Nations and those of the Personal Envoy of the UN Secretary-General, on the path of continuity, refusing to step backwards, as advocated by the other parties. 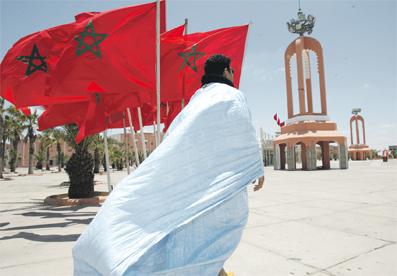 It further consolidated the process that was going on, since April 2007, thanks to the Moroccan autonomy Initiative. It also confirmed the centrality of the negotiation process and refused to give in to political blackmail, discreditable practices of harassment and the instrumentalization accompanying it, and to the attempts of distortion of the fundamental track of negotiation. After the 2nd visit of Mr. Ross to the region from 25 to 30 June 2009, Morocco emphasized the strong commitment of the Moroccan Government to facilitate the UN Envoy’s mission, including the participation in the restricted informal meetings called by M. Ross, as part of his pragmatic approach to hold the 5th round of the negotiations. Morocco expressed its wish for a positive and efficient participation of all parties, to ensure an adequate preparation for the 5th round of negotiations, recommended by the Security Council’s resolutions, particularly resolution 1871. In this context, Morocco took part in the first informal meeting held in Vienna, from 9th to 11th of August 2009, under the auspices of the Personal Envoy of the UN Secretary General and by virtue of the Security Council resolution 1871. These talks represented a new occasion for Morocco to explain the content, the rational as well as the philosophy of the Moroccan Initiative, as a solution of compromise, to end the artificial dispute over the Moroccan Sahara. The other parties, namely Algeria and polisario maintained their obsolete positions, presenting options and solutions whose inapplicability had been proved and verified, earlier. The General Assembly of the United Nations adopted, by consensus, on December 10th, 2009, the resolution 64/101 on the Sahara issue, which supported the process of negotiation and emphasized the responsibility of the parties and States of the region to cooperate fully with the Secretary General, his Personal Envoy and with each other to achieve progress toward a political solution of compromise for the regional dispute of Sahara. Similarly and just like the four resolutions of the Security Council (1754, 1783, 1813 et 1871), this resolution emphasized negotiation as the unique means to reach a political and mutually acceptable solution to the Sahara issue It excluded referring to the referendum as a tool for self-determination and for the settlement of the issue of the Moroccan Sahara. The second informal meeting on the regional dispute of the Moroccan Sahara, held on February 10th and 11th in Armonk (New York), by virtue of the Security Council resolution 1871, provided Morocco with an opportunity to shed light on the soundness, the relevance and the full conformity of its autonomy initiative with the international legality, as well as with the spirit of the UN Security Council resolutions. Morocco expressed its willingness to negotiate a realistic and achievable solution on the basis of its autonomy Initiative, whose primacy was explicitly underlined by the Security Council. Furthermore, Morocco showed the overtaken referential of the so-called proposal of the other parties, its obsolete content and its biased interpretation of the principle of self-determination, as well as the inapplicability of the referendum with extreme options. The positions of the other parties, Algeria and polisario, remained frozen, suggesting extreme options for the settlement of the Sahara issue, thus jeopardizing, the efforts of the United Nations to reach a lasting political solution for this conflict. The report of the UN Secretary General S/2010/75 dated April 6th, 2010, reconfirmed the need for the parties to show the political will required to enter into substantial discussions and ensure the success of the negotiations. Furthermore, the report called upon the international community to pay more attention to the issues of conducting a census of refugees and implementing a program of individual interviews. Resolution 1920, adopted unanimously by the Security Council on April 30th 2010, confirmed and consolidated the new guidelines and the fundamental parameters, set by the last Security Council resolutions, which should govern the continuation of the political process, and guided the work of the Personal Envoy of the Secretary General to achieve a political solution. Moreover, it reinforced the determination of the international community to preserve and strengthen the positive dynamic, brought about by the presentation of the Moroccan autonomy initiative. It, also, reiterated the appreciation for the serious and credible efforts of Morocco to overcome the impasse, calling for intensive and substantial negotiations, based on realism and the spirit of compromise, and taking into account the efforts made since 2006. This resolution considered that the consolidation of the status quo was not acceptable in the long term and emphasized the need to make progress. It called upon the parties and the States of the Region to cooperate fully with the UN and with each other to end the impasse and to achieve progress towards a political solution. It also called upon the parties to continue showing more political will so as to move ahead in negotiations, taking into account the recognized pre-eminence of the Moroccan autonomy initiative, given its rich and substantial content, its strategic vision, its conformity with international law, its democratic and open aspect, and its philosophy that goes in line with the logic of compromise and the "third track". Under the auspices of the Personnel Envoy of the UN Secretary General, the 3rd informal meeting was held, with the participation of all parties, on November, 8th and 9th 2010, in Manhasett (New York), by virtue of Security Council resolution 1920. During this meeting, Morocco underlined the necessity to give a new impetus, to the negotiations, on the basis of a new methodology, to overcome the deadlock. This proposal was accepted by the Personnel Envoy, Ambassador Christopher Ross. Morocco also reiterated, during this meeting, its readiness to continue the negotiations on the basis of the Security Council parameters, and particularly the Moroccan autonomy initiative, welcomed by the international community, as being serious and credible. Morocco also expressed its readiness to negotiate a realistic and achievable solution on the basis of its autonomy Initiative, whose primacy was explicitly underlined by the Security Council. Furthermore, Morocco reaffirmed the obsolete aspect of the previous plans which the other parties remained attached to, and reiterated the inapplicability of the referendum with extreme options. In continuation of this negotiation process, the 4th informal meeting, held under the auspices of the Personal Envoy of the Secretary-General, in Manhasett on 16th, 17th and 18th of December 2010, was an opportunity for the Moroccan delegation to present a number of initiatives and proposals to give room for the negotiation, accelerate its pace and improve its pertinence and perspicacity. It was also an opportunity to raise the need to no longer restrict tours of the Personal Envoy of the Secretary-General of the United Nations to Sahara, to the mere preparation of the negotiation rounds, but to enroll them in a dynamic, that paves the way to hear from to those who can facilitate the process in the region, in order to reach a settlement that serves the interests of the Arab Maghreb region. The Moroccan delegation expressed the strong will of Morocco, to reach a final solution to the Sahara issue, on the basis of realism and the Moroccan autonomy initiative, welcomed by the entire international community, stressing that the autonomy plan represents a real opportunity for all peoples of the region. During the 5th informal meeting, held from the 21st to the 23rd January 2011, in Greentree, Long Island, USA, the Kingdom presented numerous concrete ideas, to accelerate the rhythm of negotiations on the Sahara dispute. Those ideas concerned the negotiation process and not the political solution. The Moroccan delegation proposed to diversify the Personal Envoy’s mission, to extend the scope of the participation in the negotiations to include representatives of the local population in the Sahara provinces and to examine the real status of the natural resources of the region and the positive way of their exploitation in the benefit of the local population. The 6th informal meeting, held the 7th, 8th and 9th March 2011 in Mellieha, Malta, was an opportunity for the Kingdom of Morocco to raise a number of observations on the limits of the so called proposal of the polisario, based on an obsolete thesis, given its referential as well as its inapplicable content. The Kingdom also expressed its astonishment regarding the refusal of the other party to talk about the question of the human rights, despite the fact that it was initially and persistently introduced by the polisario itself. The Security Council adopted unanimously on April 27th 2011, the Resolution 1979 on the Sahara, welcoming the efforts made by the Kingdom, through its Initiative for the Autonomy and the actions conducted by His Majesty King Mohammed VI, aiming at protecting and promoting human rights at the national level. The Resolution welcomed Morocco’s proposals, fitting into the innovative approach for the negotiations process, proposals related to the participation of the legitimate representatives of the population in the southern provinces in the negotiation and to the thematic debates on governance issues. The Resolution also highlighted the other parties’ responsibility in the current political deadlock and in the dramatic humanitarian situation prevailing in Tindouf camps in Algeria. Concerning the issue of human rights, the Resolution did not refer to any international monitoring mechanism of human rights, welcomed the efforts made by Morocco in this field and subsequently took no account of the other parties’ manoeuvres to discredit the achievements and the reforms announced in His Majesty’s speech, namely the establishment of the National Council for Human Rights and the Ombudsman Institution. On the other hand, the Council welcomed the Kingdom’s will to keep on interacting positively with the UN Human Rights Council, through the Inter-ministerial Delegation for human rights. For the first time, the Security Council called upon the UNHCR to register the sequestrated population in Tindouf camps in Algeria, in order to ensure its protection internationally and to take into account its political will, through individual interviews. During the 7th round of informal talks held, on 7th and 8th June 2011, in Manhasset, Morocco welcomed the adoption by the Security Council of resolution 1979 that called upon Algeria to allow the registration and the census of the sequestrated population in the Tindouf camps, on its territory. Accordingly, Morocco called upon Algeria and the polisario to satisfy their obligations in terms of human rights, emphasizing the Moroccan achievements in this field, which are welcomed by the Security Council, as in the case of the setting-up of the Ombudsman Institution and the National Council of Human Rights and its sub-branch in Laâyoune. On the other hand, Morocco also called upon the other parties to facilitate the mission of the UNHCR to proceed to the registration and census of the sequestrated population in Tindouf in Algeria. This round also tackled the issue of the natural resources and that of the representativity of the sahrawi population, for which Morocco underlined that polisario could no more continue pretending to be the unique representative. During the 8th informal talks, held between 19th and 21st July 2011, in Manhasset, Morocco confirmed the accuracy of the United Nations’ innovative approach, indicating, at the same time, its involvement in this parallel approach which could bring more light and help evolve the current situation through the contribution of the population’s legitimate and respected representatives. Morocco strongly denounced the unacceptable status quo established by the other parties and reiterated its call upon the international community and Algeria, as the country hosting refugees on its territory, to firstly implement the provisions of the international humanitarian law, particularly the organization and the registration of the population living in the Tindouf camps in Algeria. Morocco also denounced polisario’s denial of its commitment to examine the human rights question, that it itself had claimed and which Morocco had accepted, being strengthened, in this, by its legal asset, in terms of human rights. In parallel, Morocco insisted on the need to have the following informal talks held, with the participation of the Southern Provinces’ legitimate and credible representatives, so that they would contribute to a final settlement of the issue. This round of talks was the occasion for Morocco to underline the evolution of its position through the Moroccan initiative for autonomy and to recall the legitimacy as well as the conformity of this initiative with the international legality, as highlighted by the Security Council. On October 10th, 2011, the 4th Committee of the 66th General Assembly adopted, without vote, resolution on the Sahara issue (A/C.4/66/L.5), showing support for the negotiations process and encouraging a mutually acceptable political solution to the dispute. Regarding the humanitarian dimension of the issue, Morocco participated in several meetings and initiatives for the sole purpose of alleviating the suffering of the Tindouf camps populations in Algeria. In this context, it should be noted that the family visit program has been strengthened and continued without interruption, despite attempts to politicize this humanitarian activity by other parties. In the same context, an apolitical seminar on the Hassani culture was organized under the aegis of the UNHCR in Madeira (Portugal) in September 2011. The parties held under the auspices of UNHCR and in the presence of the Personal Envoy, the second evaluation meeting on the implementation of confidence-building measures in Geneva on 24 and 25 January in 2012. During this meeting, Morocco contributed positively to the adoption of new measures, including increasing the number of beneficiaries of the family visits program by air, by using larger aircrafts. The parties agreed to hold two new other apolitical seminars and to adopt a new action plan on CBMs. During the 9th round of informal talks held in Manhasset from 11th to 13th March 2012, Morocco reiterated its strong commitment to contribute effectively to an innovative solution that goes beyond the classical methods to end the deadlock on the Sahara issue, deploring, at the same time, the fact that the other parties stuck to their positions, especially regarding the census of the Tindouf camps population. In this respect, Morocco expressed regret that census, an inalienable human right and a requirement not only of Morocco but of the international community as well, has not yet been conducted, recalling that the Security Council called, in its resolution 1979 (2011), for the census of the population in Tinduf camps. Morocco recalled also that the autonomy initiative is a courageous initiative elaborated in response to the UN Security Council calls for a negotiated and mutually acceptable political solution. An initiative that remains open to discussion and negotiation. Besides this, Morocco emphasized that the 9th round of informal talks took place in a particular context, characterized by the positive changes, brought about by "The Arab Spring", and the new dynamic in the relations between the Maghreb countries. The Moroccan delegation indicated, in this respect, that this new regional reality requires from all parties to change their perceptions and adopt a new constructive approach. The Security Council resolution 2044 (2012) adopted unanimously on April 24, 2012 consolidated the parameters set by the Council to reach a final political solution to the regional dispute over the Sahara. It backed the process of negotiations as the unique way for the settlement of the dispute and encouraged the innovative approaches. The preeminence of the Moroccan autonomy initiative along with the fundamental principles of realism and the spirit of compromise were reaffirmed as means of achieving the political solution advocated by the Security Council. In the same way, the resolution reaffirmed the determination of the international community to back the sincere involvement of all parties in intensive and substantial negotiations and to avoid the blockage and the diversion strategies. Despite repeated attempts to instrumentalize the issue of human rights in the Moroccan Sahara, the Security Council welcomed the measures taken by Morocco, in the process of deepening political reforms in the Kingdom. Hence, the Council welcomed the operationalization of two regional offices of the National Human Rights Council in Laayoune and Dakhla, as well as the positive interaction with the special procedures of the UN Human Rights Council. On the other hand, the Security Council reiterated, for the second time, its appeal to the UNHCR to proceed, in accordance with its mandate and practices, to the population census in Tindouf camps, in consultation with Algeria, the host country. This operation is no longer only a moral requirement or an international legal responsibility; it is, henceforward, a political obligation confirmed by the Security Council. The Kingdom of Morocco hopes that the adoption of resolution 2044 will allow the continuation of the negotiation process in serenity and away from the logic of blockage, adopted by the other parties. • The acts, statements and initiatives of the personal envoy as well as his unbalanced and biased line of conduct, are in contrast with the mission, which he was entrusted with, through the UN Secretary General’s nomination letter dated January 2009, and against the parameters defined by the UN Security Council. On June 15th 2012, the SG of the UN appointed Mr. Wolfgang Weisbrod-Weber (Germany) as the new Special Representative and Head of the MINURSO in replacement of Mr. Hany Abdel-Aziz, whose mandate ended in April 2012. Morocco took part in the 3rd meeting on the CBM program evaluation conducted by UNHCR, between the population of the Moroccan Southern provinces and their families in Tindouf camps in Algeria, on 19 and 20 September, in Geneva, in the presence of delegations from Algeria, Mauritania and polisario. The meeting focused mainly on the assessment of the family visits by plane and the apolitical seminars organized in the framework of the CBMs. It took place under the UNHCR humanitarian protection global mandate and in conformity with the relevant international conventions, practices and decisions of the UNHCR. The Personal Envoy of the Secretary General of the United Nations for the Moroccan Sahara, Mr. Christopher Ross, visited Morocco on October 27th, 2012. This visit fit into the framework of the efforts made to re-launch the political process with a view of reaching a final political and consensual solution to the regional dispute over the Moroccan Sahara. The visit also took place following the telephone conversation, dated August 25th 2012, between His Majesty King Mohammed VI and the UN Secretary General Mr. Ban Ki Moon. It was an occasion to insist on the necessity of achieving progress in the settlement process, on sound and solid basis, to abide by the clear parameters contained in the UN Security Council resolutions, to show realism and the spirit of compromise and to recognize the serious and credible aspect of the efforts made by Morocco in the framework of the autonomy initiative. On the 28th of November 2012, the Special Envoy of the UN Secretary General in charge of the Sahara presented to the Security Council a report by virtue of the Security Council resolution 2044. The report came in the aftermath of the aforesaid phone conversation between His Majesty the King with the UN Secretary General and the regional tour undertaken earlier by the Personnel Envoy Mr. Ross, which covered Morocco (Rabat and Southern provinces), Algeria (Algiers, Tindouf camps), Mauritania, Spain and France. • The security threats and the developments in the region necessitate the adoption of a new approach, based on wider coordination between Morocco and Algeria to counter threats, including those in the Tindouf camps. The report brought about positive feedback from some members of the Security Council who, in fact, reiterated their support for the negotiation process that would lead to a political solution to the regional dispute over the Moroccan Sahara, emphasizing the serious and realistic aspect of the Moroccan initiative of autonomy, to be taken as a basis for the settlement of this dispute. They also welcomed Morocco's efforts in consolidating human rights through national mechanisms and the positive interaction with the pertinent measures of the UN Council of Human Rights. In the same way, they reiterated the need to make it possible for the UNHCR to carry out population census in Tindouf camps. The Personal Envoy of the UN Secretary General for the Sahara, Mr. Christopher Ross, paid a visit to Morocco from 20th to 24th March 2013 as part of a regional tour including Algeria (Algiers and Tindouf camps), Mauritania and Spain. The aim of the visit was to re-launch the process of negotiations on clear foundations such as defined by the UN Security Council resolutions, in order to reach a negotiated political and mutually acceptable solution to the regional dispute over the Moroccan Sahara. The visit took place in a special context, marked by the recent security developments in the Sahel region and the various calls aimed at finding a political solution to the dispute over the Moroccan Sahara. During his visit to Rabat, the Personal Envoy of the UN Secretary General for the Sahara had meetings with the Head of the Government, the Minister of Foreign Affairs and Cooperation, the two Presidents of the Houses of Representatives and Counselors, officials from the National Council for Human Rights, the Royal Advisory Council for Saharan Issues, and the Economic, Social and Environmental Council as well as with representatives from the Civil Society and Moroccan NGOs. The different Moroccan officials reiterated Morocco's willingness to facilitate the resumption of the negotiation process in order to achieve a political solution to this regional dispute, which would allow the return of Sahrawi families to their homeland and the edification of the Maghreb. They also underlined the security threats posed by terrorist groups in the region and the need to address them, while stressing the importance of the normalization of the relations between Morocco and Algeria. Mr. Ross also had talks with the local authorities in Lâayoune and Dakhla as well as with the representatives of the civil society and NGOs. -Comforting the Moroccan position and underlying the request for a census of the Tindouf camps population, and encouraging, for the first time, efforts made to this end. Despite the other parties’ attempts to exploit human rights issues to achieve political ends, the resolution confirms that the MINURSO mandate and activities will be maintained in their current state, and does not stipulate any mechanism implying directly or indirectly, any sort of international human rights monitoring. On the contrary, it recognizes and hails the stages undertaken by Morocco in the consolidation of the National human rights council as well as the Kingdom’s voluntary interaction with special procedures stemming from the UN Human Rights Council. Morocco will remain committed, with seriousness and good faith, to the initiatives and efforts of the UN, aimed at overcoming the deadlock and ending the current situation, to reach a final realistic and mutually acceptable political solution, on the basis of the Moroccan autonomy initiative and in total respect of the sovereignty and the territorial integrity of the Kingdom.